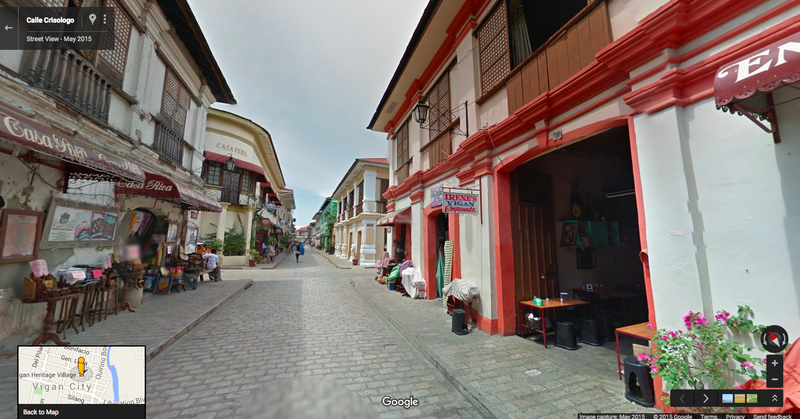 downtown Manila, wander the historic streets of Vigan, and see where boxing legend Manny Pacquiao grew up and trained, with the launch of new Street View imagery in the Philippines. 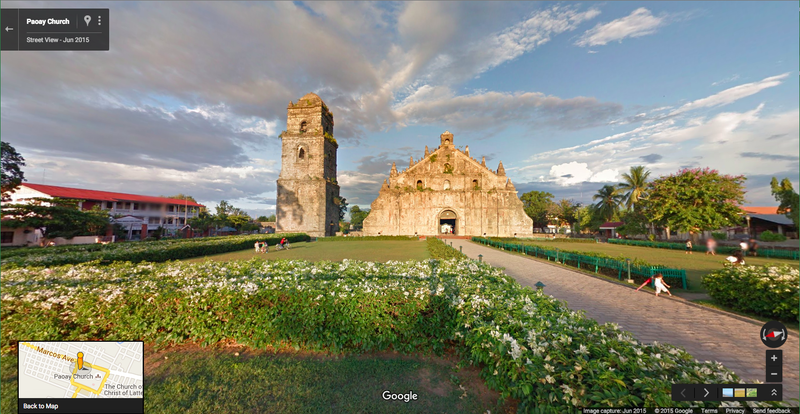 Thanks to the support of the Philippines Department of Tourism, 37 cities and 35 historic locations—including eight UNESCO world heritage sites—are now available for the world to explore in 360-degree panoramic views with Street View. From the beautiful baroque churches of Miag-ao and Paoay, to Bantigui Island’s stunning beaches, or Pulag peaks, this new imagery showcases some of the archipelago’s most important historical sites and natural beauty. 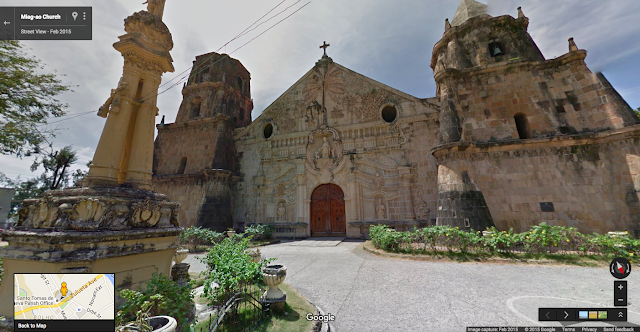 This imagery expands on existing Street View collections in the Philippines, including underwater views from Apo Island and images of Manila’s historic walled city of Intramuros. In addition to seeing the Philippines’ famous beaches and churches, you can take an insider's tour of Manny Pacquiao’s hometown of General Santos City. Glimpse the Pacman Wildcard Gym that Manny owns, named after the gym in Los Angeles where he used to train, or wander around his farm. 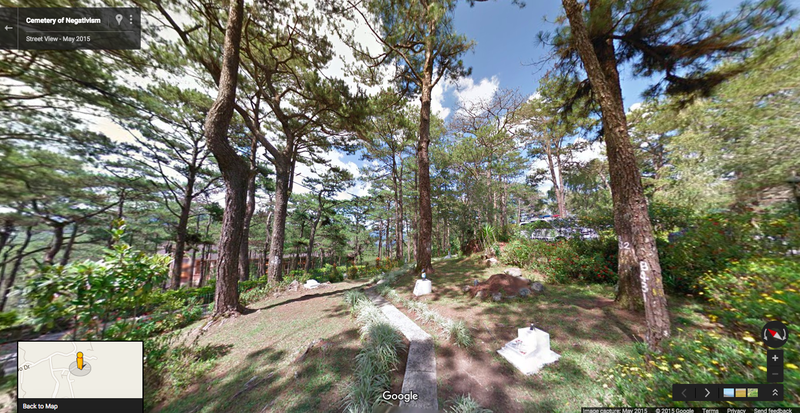 For those looking for something truly unique, head to Baguio for some inspiration and see the Cemetery of Negativism at Camp John Hay, a place where people can bury bad thoughts and vibes in humor, which was established in the early 80’s, or stop by Dinosaur Island in Benguet to experience the dinosaur era with life-size animatronic sauruses. Mapping an archipelago with 7,000+ islands is no small undertaking. Since kicking off imagery collection last January, we’ve driven well over 10,000 miles across the country. 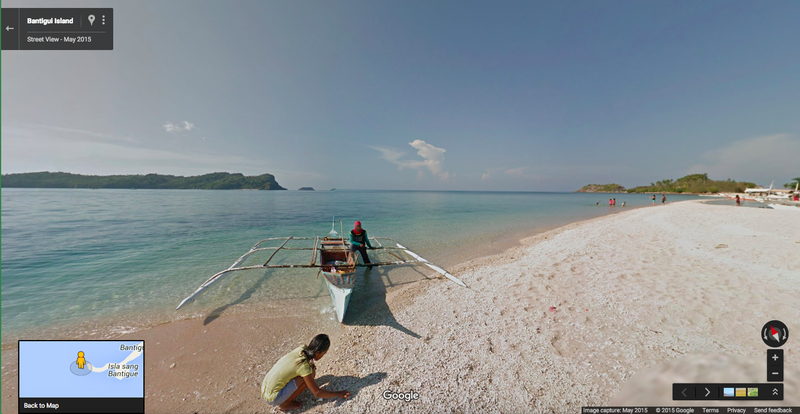 We’ll continue to bring Street View to new places across the Philippines, so people around the world can see even more of the beauty and diversity of the country for themselves. Pinoys who would like to share their corner of the world with the world can also use our new Street View app to create and share your own panoramic images. Starting today, you can virtually explore downtown Manila, wander the historic streets of Vigan, and see where boxing legend Manny Pacquiao grew up and trained, with the launch of new Street View imagery in the Philippines. Thanks to the support of the Philippines Department of Tourism, 37 cities and 35 historic locations—including eight UNESCO world heritage sites—are now available for the world to explore in 360-degree panoramic views with Street View.